As a Labour and Co-operative Party councillor I think that there should be no tolerance of loan sharks, both legal and illegal, and Dundee City Council and others should be promoting credit unions. I think that everyone should take a close look at the report issued by the Office of Fair Trading on Payday Lending. I have been saying for some time that there is no place for loan sharks in Dundee. I have called on the council to take action against illegal loan sharks. 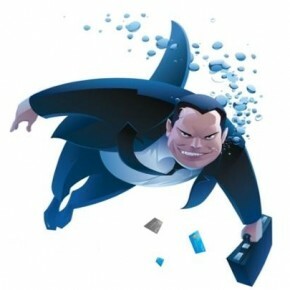 These difficult financial times are pushing people into the hands of loan sharks both legal and illegal. I am pleased that the police and organisations like Stop Loan Sharks. At a recent briefing from Stop Loan Sharks I heard about legal loan sharks charging an APR of 719,000%. I am also concerned about the expansion of what I call legal loan sharks, who charge APR such as 4000%. It is important that we offer alternatives and I believe that credit unions are that alternative. In November I got the council to agree to bring forward an action plan to promote credit unions. I am writing to the City Council's Chief Executive to ask about when we can expect to see that action plan. On Wednesday the Office of Fair Trading issued a report about Payday Lending and highlighted the many many problems associated with this phenomenon. I am very concerned that this industry preys on the misery of others. Credit Unions on the other hand are owned by their members and offer an ethical means of accessing credit. There should be no place for loan sharks in our society and I think that there is a need for more support of alternatives such as credit unions. 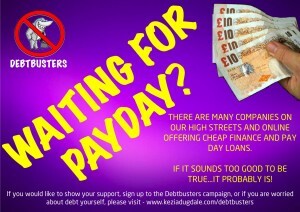 My Labour and Co-operative Party colleagues Stella Creasy MP and Kezia Dugdale MSP are doing a great job with their Sharkstoppers and Debtbusters campaigns, please take the time to have a look at these campaigns. Tonight I attended the March meeting of the Community Spirit Action Group. Community Spirit covers the northern part of the West End ward. There was a really interesting presentation from Grant Law, the city's registrar on the topic of family history. It was a really interesting talk and showed what can be done with modern technology. During the meeting I raised my concerns about air quality in the area around the junction at Lochee Road, Cleghorn Street and Rankin Street. 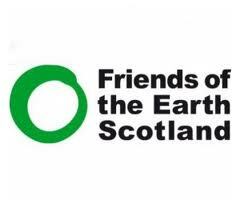 This has been highlighted by Friends of the Earth Scotland and I will be looking for joined up work from the council's Environment and City Development departments to take action that will alleviate this problem. As Labour's Environment spokesperson on Dundee City Council I am surprised that the SNP-led Administration have still not given any detail on their proposals for fortnightly bin collections despite the fact that the Convener of the Environment Committee announced the policy six weeks ago. I'm calling on the SNP-led Administration to publish their proposals and consult on them as soon as possible. The papers for the Environment Committee on 11th March have been issued and contain no reference to this policy on fortnightly bin collections. I hope that this is not a tactic on behalf of the Administration to talk about something for such a long time that people accept it as a 'done-deal'. These changes will impact on every household in Dundee and therefore before they are implemented there needs to be the widest possible consultation. My position is that I want to do everything I can to protect the environment, if I am convinced that fortnightly bin collections will improve the environment for everyone in Dundee then these proposals will have my support. However, I will need to be convinced that this is a policy which is suited to a city with such a large number of tenemental properties. At present, in many of the tenemental areas bins are left out for weeks on end and I would be concerned about the impact of bins left out in such a manner which were full of rubbish. I also wonder how this policy fits with the decisions made at the recent budget to close one recycling centre at Marchbanks and to change the nature of the other two by making the one at Riverside for garden waste only and the one at Baldovie for all other waste. I have concerns that this will lead to an increase in fly-tipping and have a detrimental impact on the environment. In my view changes to domestic bin collections should have been considered at the same time as changes to the recycling centres. I think that this should also have been considered as part of the council's budget process, it would have been unthinkable for the Convener to announce a change in policy without knowing the financial implications. I do hope that these proposals are about protecting the environment and not about saving money or cutting jobs. I am clear that there is a need for the details of these proposals to be made public. There should be the widest possible consultation on fortnightly bin collections so that councillors can be clear about the views of the workforce, trade unions and most importantly the people of Dundee. What can the council have to fear from asking the people of Dundee about these proposals? What a welcome to Dundee! As Labour's Environment spokesperson on Dundee City Council, today I called for a compromise on the issue of the public toilets at Dundee Bus Station. The public toilets have been run by the City Council's Environment Department until now, but at the recent budget meeting the decision was made for the council to withdraw from provision of this service. 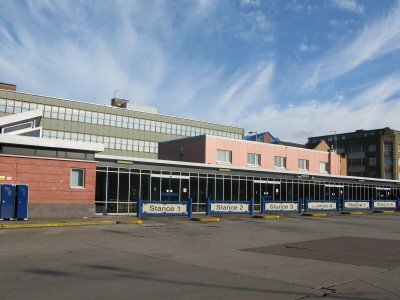 The council believes that Stagecoach who operate the bus station should take over running of the facility. I understand that Stagecoach are unlikely to take over running the service and that the toilets may well be closed. I believe that the bus station plays an important part in welcoming people to the city and that a toilet is an essential service to offer a good welcome to the city. I'm offering to mediate between the SNP-led Council and Stagecoach on this issue. I've written to Sir Brian Souter who owns Stagecoach and the Director of the Environment Department asking that they get round the table to find a solution to this important issue. I understand the logic of the council's position at the budget, but it is essential that the bus station offers a good welcome to the city and providing a toilet is part of that. I am calling on Stagecoach and the City Council to get round the table to find a solution which suits everyone. As a council we have a duty to promote the city and to provide a good welcome to visitors and to returning Dundonians. What message would having a bus station without a public toilet give? We need to have a vision for the city which promotes the city at all times. I hope that the SNP-led Administration and Stagecoach can find a solution to this issue in the best interests of the city. Today along with a number of West End residents and my West End ward colleague Councillor Fraser Macpherson and the Environment Convener, Councillor Craig Melville I took part in the West End Clean Up. 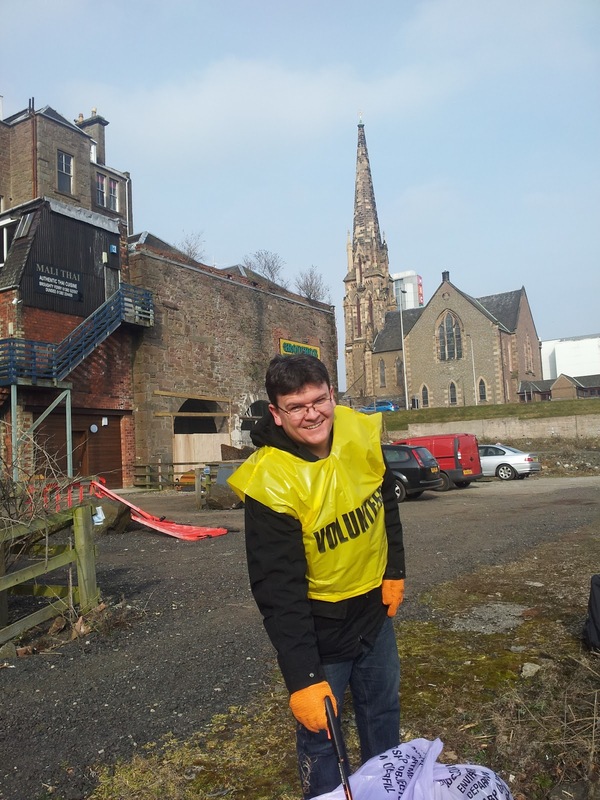 It was good to see members of the Bonnie Dundee Group helping out. 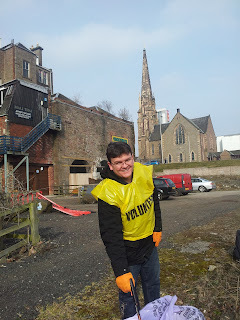 I spent a very enjoyable hour or so trying to make a difference to the area around Greenmarket. Whilst it was great to be part of such a good community event it was disappointing to see rubbish littered around this area. There is no excuse for litter and I would urge everyone to think seriously about how they deal with their rubbish. 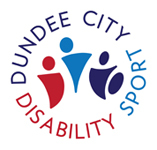 On Monday evening I was pleased to be able to attend the latest meeting of the Dundee City Disability Sports Council. It was good to hear about the excellent work going on in a variety of sports. There were reports about sports from curling to horse riding to boccia to wheelchair football and rugby league and swimming to power lifting. I was interested to hear that Tayside Dynamo's Powerchair Football Club has been selected as one of the 400 teams to take part in the Daily Record's "Kits for Kids" This is fantastic news, the club is going for the full package. This consists of 10 Rain Jackets, team Kit and Training Bags. All they need now is as many friends, supporters to buy the Daily Record and Sunday Mail from Saturday 9 March 2013 until Friday 17 May 2013. Please spread the word and help this new Powerchair Football team obtain full kit for the players. Gordon Quinton, Disability Sport Officer at Leisure and Culture Dundee will be collecting the tokens, please contact him on 01382 436962 if you wish to collect or send in the tokens. 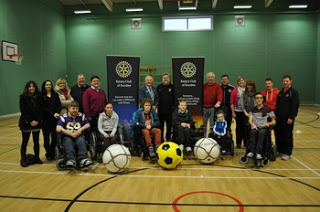 I was at the session which launched powerchair football in Dundee and it looked like it could be great fun and a really good opportunity for everyone involved. This morning as Labour's Environment spokesperson I had a very productive meeting with Friends of the Earth Tayside. It was very good to get the opportunity to listen to their concerns. I was particularly interested to hear more about the recent Friends of the Earth report on air pollution. I have raised the matter in the council chamber and with council officers previously but I am clear that much more can be done. I will be looking for council departments to work together and deliver changes which will go some way to delivering better air quality. There were a number of other issues raised with me and which I will be looking for council officers to answer. I am clear that there is much more that we can do to protect the environment and that everytime the council does something that we should ask whether these plans are sustainable. 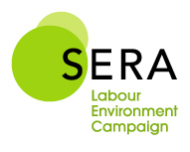 Within the Labour Party I support our environmental campaign SERA, it is important to recognise that social justice now requires environmental justice.